Bankruptcy is nothing to be ashamed of. It happens to more people than anyone knows. If you are in over your head with debt and just want a fresh start, contact the Law Office of Glenn & West, LLC to speak with a knowledgeable bankruptcy attorney. We can walk through what you need to do to qualify for Chapter 7 bankruptcy and help you throughout the process. One day, you may be gainfully employed, healthy, and able to comfortably afford any debt you take on. The next, you may find yourself unemployed, with sky high medical expenses, and unable to put food on your table, much less make the monthly payments on your mortgage and family vehicles. Fortunately, the U.S. government provides a remedy for individuals who find themselves suddenly unable to meet their financial obligations—bankruptcy. Chapter 7 bankruptcy, otherwise known as liquidation bankruptcy, can truly provide you with a fresh start. If approved for Chapter 7, the bankruptcy courts will discharge your debts entirely, which means they will, essentially, get rid of them. A Chapter 7 bankruptcy is much quicker than other types of bankruptcies. This type of bankruptcy is for individuals (consumers) with little to no assets. You provide us and the bankruptcy court with all of your asset and debt information. We prepare a petition to file with the court. Once it is on file, creditors are required by law to stop contacting you and stop seeking payment of the debt. Then a bankruptcy trustee is appointed. This person is an attorney hired by the bankruptcy court to investigate your case. You will meet with the trustee and he will ask you questions about your assets and debts. It is a quick meeting, typically in Springfield, Illinois. After that occurs, the trustee will make a recommendation to the bankruptcy court regarding whether to approve your case or not. Once the bankruptcy court approves your case, your bankruptcy trustee will sell or otherwise liquidate any assets that are found and not covered by an exemption. Funds received by the trustee are used to pay off creditors. If this occurs, not all creditors will get what is owed to them. However, there is nothing the slighted creditors can do about it. This is because Chapter 7 comes with an automatic stay, which prevents creditors from contacting you or pursuing collections actions once the bankruptcy is on file. If there are no assets to sell or liquidate, your debts are discharged within a few months of the meeting with the trustee. Chapter 7 bankruptcy differs from Chapter 13 bankruptcy in several ways. For one, it is over within as little as a few short months. Once approved, you have little to worry about other than maybe finding a new place to live and a new car to drive. Chapter 13, on the other hand, lasts for three to five years. Under Chapter 7, you have no further financial obligations. Under Chapter 13, however, you must repay a portion of your debt over the term of your bankruptcy. Finally, Chapter 7 costs less to complete than Chapter 13, as it requires little of the bankruptcy court’s time. Are There Drawbacks To Filing For Chapter 7? Though Chapter 7 can give you a fresh financial start, there are drawbacks to pursuing this type of bankruptcy. The biggest drawback is the fact that you may lose everything, including your family home, vehicles, and luxury possessions, if any and under certain circumstances. Also, some of your more substantial debts, such as your student loans, will remain your responsibility. Finally, filing for bankruptcy can hurt your credit. If you want to buy a new home, for instance, you may have to wait several years before you can qualify for most loans. How Can You Begin the Bankruptcy Process? If you think bankruptcy is right for you, reach out to our knowledgeable bankruptcy attorney at the Law Offices of Glenn & West, LLC. 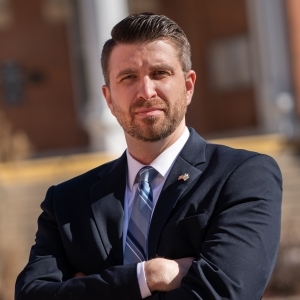 Attorney Trent West can help you explore all your debt relief options so you can make an informed decision that works for your budget and your lifestyle. Contact us today for a free consultation!